Healthy Green Kitchen Healthy Green Kitchen - Page 2 of 246 - Simple Food. Balanced Living. Disclosure: I recieved a lovely care package of products from Colavita, plus I am being compensated for my participation in the Italian Summer Grilling campaign; all opinions are 100% my own. 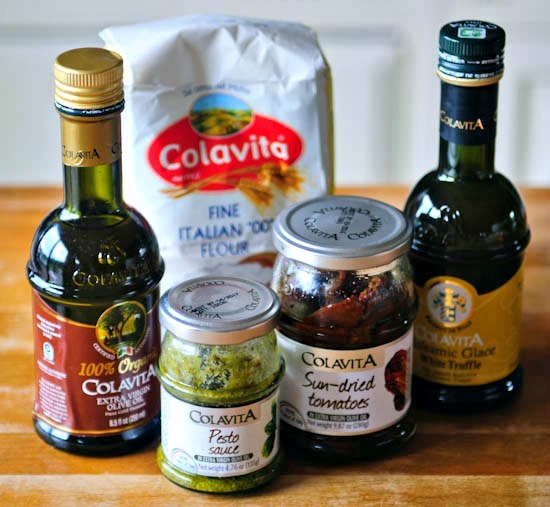 I’ve been using and enjoying Colavita olive oils and vinegars for years, so the decision to collaborate with them on a Italian Summer Grilling post was an easy one for me. They sent me a variety of beautiful products and asked me to create a recipe for the grill using at least five of the items. 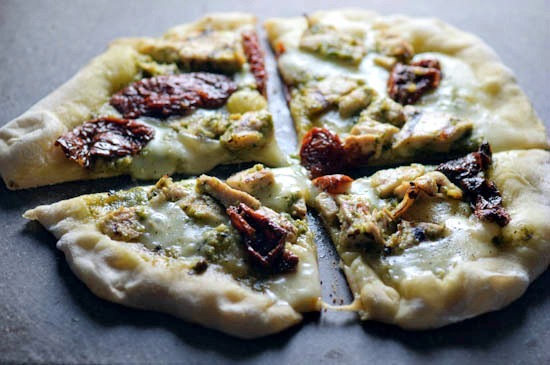 I came up with this Grilled Pesto Chicken Pizza with Fontina, and Sun-Dried Tomatoes: it’s definitely a keeper. Have you ever cooked pizza on the grill? It’s so quick, easy, and delicious, and makes a perfect summer meal. I’ve had a pizza stone like this one for a long time and I use it both in the oven and on the grill. This pizza was finished on the grill itself after cooking on the pizza stone. For the chicken: I first marinated it, then cooked it on the grill before using it as one of the pizza toppings. Feel free to play around with the cheese in this recipe: I think a smoked mozzarella would be great. You can use be creative with vegetables, as well: adding some sliced cooked artichoke hearts or grilled eggplant would be perfect, I think. 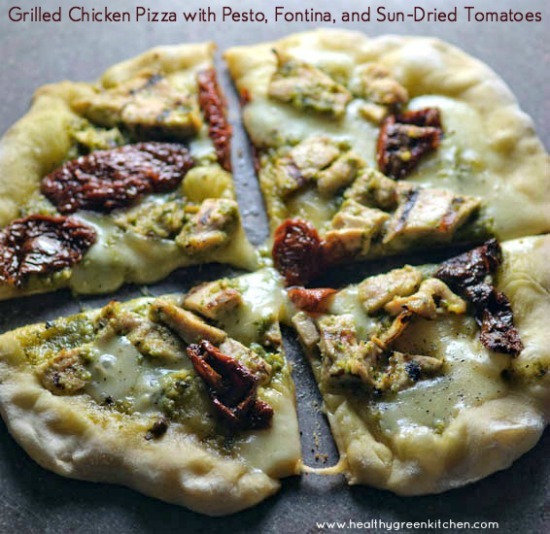 You may use store-bought pizza dough or you can make one of Colavita’s pizza dough recipes: try the classic Fresh Pizza Dough or go for something more unique (and gluten free) with the Polenta Pizza Crust or the Cauliflower Pizza Crust. We recently hosted a big brunch for family and friends who came from out of town for my daughter Maddie’s Bat Mitzvah. 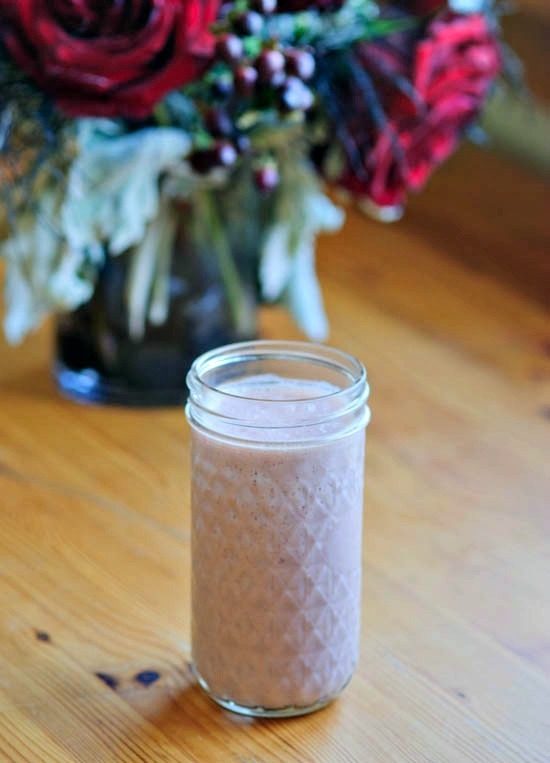 After the brunch, I was left with a good deal of beautiful fresh strawberries so I spent a few days whirring them into smoothies. This one, made with Silk soy milk is a new favorite. Smoothies weren’t that appealing in the winter, but now that the weather is warm, I am really enjoying them. 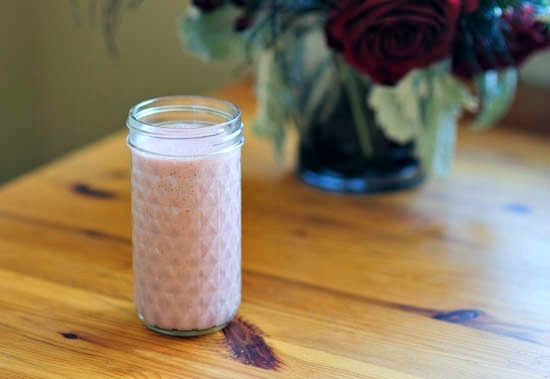 In addition to the protein content, another great thing about this Strawberry Date Smoothie is it’s made with just 3 ingredients and can easily be varied. Add a few leaves of lettuce or kale for a green smoothie, or mix up the fruit: I also love it with dried cherries. Blend all ingredients in a high-speed blender until the desired consistency is reached. Add additional ice for a thicker smoothie and more liquid for a thinner one. 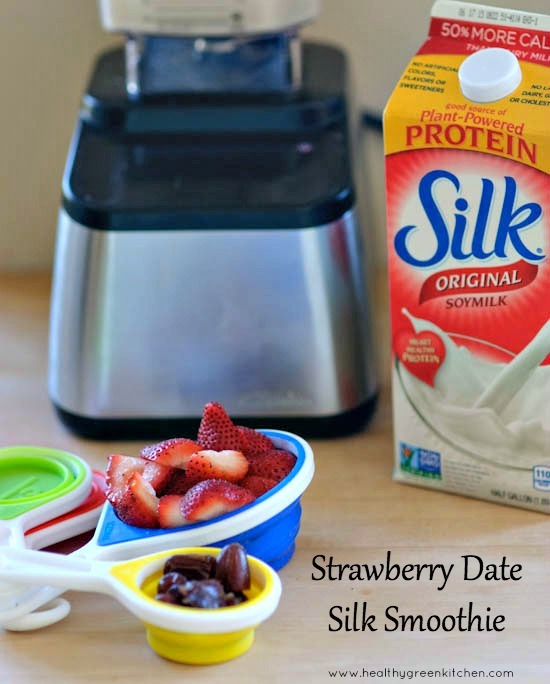 Be sure to check out the Silk website, where you can sign up for a coupon for $.75 off of your Silk soymilk purchase! Disclosure: This conversation is sponsored by Silk. The opinions and text are all mine. 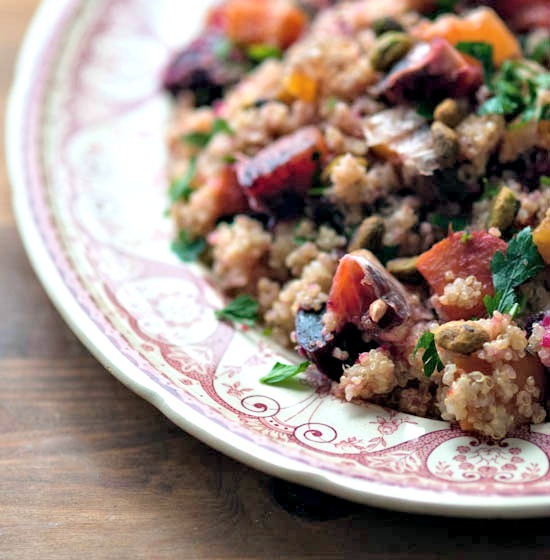 Maria Speck‘s award-winning first cookbook Ancient Grains for Modern Meals is one of my favorites, so I was extremely pleased when I heard Maria was writing a follow up. Her new book is called Simply Ancient Grains: Fresh and Flavorful Whole Grain Recipes for Living Well and I am happy to say this book is just as lovely as the first. 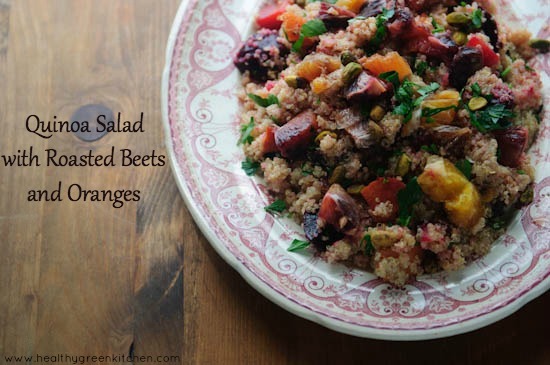 It features beautiful, innovative ways to fit grains including amaranth, buckwheat, freekeh, millet, quinoa, sorghum, and teff into your life.